You are about to get in on the ground floor of something truly historic. As former Speaker John Boehner just said, big institutional investors are set to push billions of dollars into this rapidly growing industry. And he should know. He’s helping many of them prepare to do it. Cannabis is set to explode from $10.8 billion a year, to $100 billion and quite possibly $1 trillion. But today, you have a chance to beat them to the punch. If you strike first, you stand to make an absolute fortune. And that’s exactly what the National Institute for Cannabis Investors was built for. With Speaker Boehner and Danny Brody’s help, we’ve assembled the most successful cannabis CEOs and investors in modern history. As well as the most politically connected players in this industry. For the first time ever, we’ve joined forces. Our Sole Mission Is to Help You Transform Into a Marijuana Millionaire! We’re going to leverage our board members’ intelligence gathering – their business connections – and their political connections. Every time there’s an opportunity to make big money in this industry, you’ll hear about it first, before the rest of the world gets clued in. Literally, every cannabis stock we’ll bring you has the potential to deliver a 1,000%+ windfall. And we’re also going to show you how to become a cannabis angel investor. Of course, angel investing is highly speculative.But if you can dedicate a small slice of your portfolio to it, you could earn oversized returns. Just look at Airbnb’s stunning 20,000X return. That’s enough to transform $100 into $2 million. Or consider Uber’s unprecedented 30,000X return. That’s enough to grow $100 into $3 million. Today, these types of life-changing angel investment situations are moving into the cannabis industry. And our founding board knows all the major players here! So if you’re excited. That’s good. You should be. And we’re not going to waste a moment. We’re going to hit the ground running. As Soon as You Order, You’ll Be Rushed Four Special Reports. Special Report #1 Prescription-Free CBD: The Firm Set to Disrupt the $1.1 Trillion Pharmaceutical Industry! Special Report #2 The Innovator: A Simple Solution for a Biig Dollar Problem! Special Report #3 Cannabis’s First Household Name Could Make You a Fortune! Special Report #4 The #1 Cannabis Startup to Target Today! Every Month, You Will Receive a New Cannabis Investment Package. 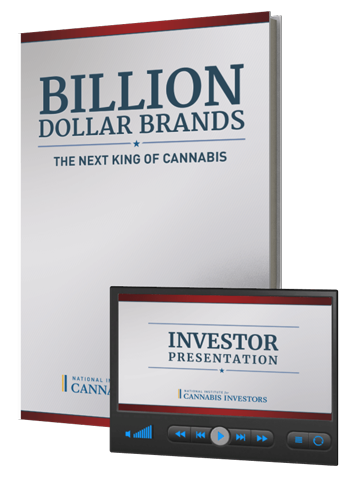 It includes all of our research and analysis on our latest cannabis windfall target PLUS, a Video Investor Presentation to guide you through every chart, all the financials, and our projections for future returns. Remember, every firm we recommend has the potential to deliver at least 1,000%. And we’ll be by your side as each opportunity develops. Our proprietary Portfolio Tracker will monitor their growth. Our Weekly Progress Reports will cover every new development, merger and acquisition. 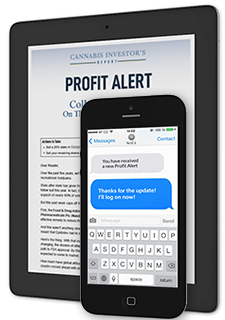 And our Real-Time Profit Alerts will notify you when it’s time to cash out of any of our cannabis plays! We’ll even be happy to send you a text message, whenever we’ve emailed out these lucrative instructions. Plus, every quarter we will mail you a comprehensive State of the Cannabis Industry Dossier. It will give you a complete forecast for each segment of the industry. Our board members and experts are going to be very active in this network. They’re going to spend hour after hour spilling all their best secrets. 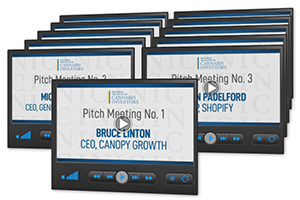 They’re enlisting the industry’s sharpest CEOs and executives to conduct Virtual Business Pitches, just for our members. They’ll explain why you should consider investing in their companies. In fact, we have 11 business pitches waiting for you right now. You’ll also be able to network with your fellow members. You can create your own forums to share your biggest wins and investment tips. With the click of a few buttons, you can start your own local chapter of the Cannabis Investors Network. You’ll also be able to participate in our Monthly Boardroom Meetings, where the industry’s top experts exchange business ideas and present new opportunities. If you have any questions for them, you can submit them live. New to Cannabis Investing? No Problem! 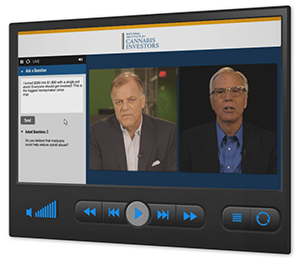 To make this accessible to everyone, we’ve created a five-part video training series. It shows you everything you need to know about this exciting new industry. 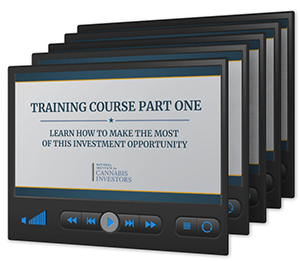 Including step-by-step instructions for buying your first cannabis stock. That way you can take advantage of this. Even if you’ve never made an investment in your life. Your Founders Membership Comes with an Invitation to Our Annual Retreat. Every year, you will be able to meet face to face with some of the biggest names in cannabis. You’ll shake hands with the CEOs of the companies driving this green gold rush. You’ll get to meet executives at the most promising startups. You’ll have a front row seat as key players present their latest developments. 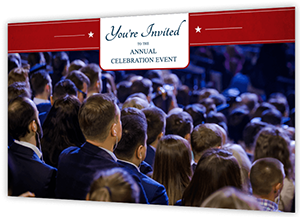 And you can network with your fellow members at the kick-off cocktail party. And you can even bring a friend or spouse along with you. Your Special Founders Discount Could Expire at Any Moment. This venture is the first of its kind. Nobody has ever done it before. And nobody will ever be able to do something like this again. So this is the deal of a lifetime. And it's only available to Founding Members. If you want to be one of them, you have to act now. Your Founders Membership Is Protected by Our DOUBLE Money-Back Guarantee. You can test drive every feature of the National Institute for Cannabis Investors for the next 60 days. If you aren’t blown away by the non-stop stream of opportunities, then simply contact our concierge VIP service team, and we’ll instantly refund your full membership. At least five of the opportunities we present will give you the chance at 10X returns over the next 12 months, or you can contact our team and they’ll refund every penny. You’re moments away from joining the National Institute for Cannabis Investors. That means you are moments away from receiving four investment opportunities that could quickly put you on the path to becoming a marijuana millionaire. All that’s left is for you click the button below. Or if you prefer, you can call our VIP concierge service at 866.260.0361 or 443.380.2078 (international) between 8 a.m. and 7 p.m. (Eastern Time) Monday through Friday.